Happy Friday!!!! I've been sharing great ideas for art projects that use markers all week, and I have one for you today that you might even try this weekend. 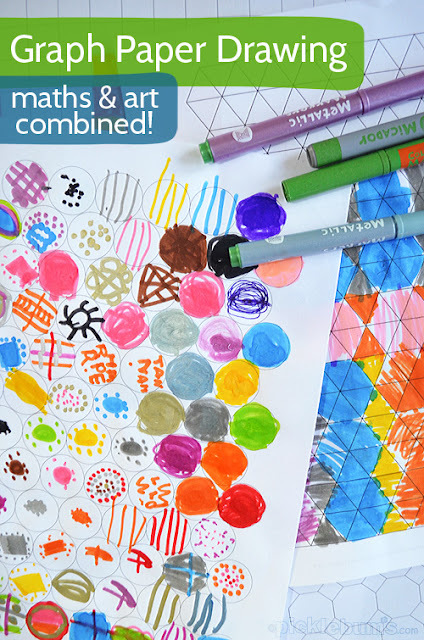 This graph paper drawing idea is a great way to encourage creativity. Children can use their imagination and express what the graph paper looks like to them. The best part is that Kate from Picklebums shares where she got her free graph paper, that comes in all different fun shapes! Enjoy your weekend and feel free to share your students doodles (or your own! ).